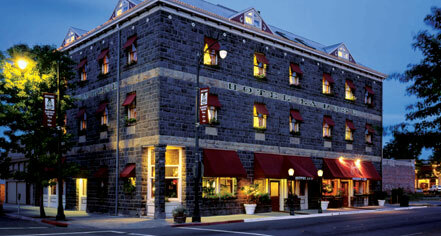 Located in historic Railroad Square, the Hotel La Rose is centrally located to Sonoma County’s wineries, Redwood forests, and Pacific coastline. The 47 guestrooms have marble and brass baths—some with whirlpool tubs—and modern amenities including two-line telephones with private voice mail, dataports, and high-speed Internet access; the 19 Carriage House rooms, added in 1985, look out onto a rose garden, fountain, and Koi pond. The historic hotel is a short stroll away from Santa Rosa's downtown business district, antique stores, and specialty shops. 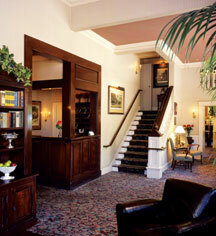 Hotel La Rose, a member of Historic Hotels of America since 1996, dates back to 1907. A prominent local citizen was nearly tarred and feathered for attempting to shut down the hotel's bar during Prohibition. Age Requirements: None, credit card required. Cancellation Policy: Reservations that are cancelled less than 48 hours prior to arrival will be charged one night's stay penalty. Hotel/Resort Fees & Taxes: Taxes: 14%. Pet Policy: Pets allowed: No. Located in historic Railroad Square, the Hotel La Rose is centrally located to Sonoma County’s wineries, Redwood forests, and Pacific coastline. Learn more about the History of Hotel La Rose .